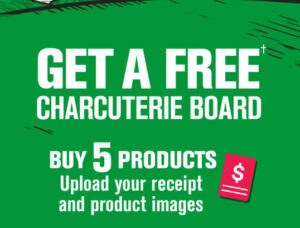 Buy 5 specially marked Villaggio products and upload your receipt and images of those products, and you will receive a free charcuterie board! Offer runs between June 20th and August 13th, 2018, or while supplies last. Limit of 2 requests per person & per household. Tetley Contests: Win a trip to see Cirque du Soleil in Las Vegas!